It's so good to be back with the Hodgepodgers today. Joyce did a super good job with the questions today and I always marvel at her ability to come up with questions week in and week out. Way to go Joyce! 1. I included this quote (attributed to William H. Danforth) in my blog post yesterday... "The best cure for a sluggish mind is to disturb it's routine." When was the last time you 'disturbed your routine' and how'd you do it? Well, my routine was disturbed for almost two weeks ending this past Saturday. I won't go into the details again but if you are a regular reader then you know what all has been going on in my life. If that quote is true, then my mind is anything but sluggish, in fact, it's in "high gear." 2. What's your favorite fried food indulgence? Oh, I LOVE coconut friend shrimp!!! I do not indulge in it very often but there are times when I just can't resist and it makes me a "happy gal" for sure! 3. Did you have an allowance as a kid? What did you do with it? Do you give your own kids an allowance? Yes, I did get an allowance as a child and it was at that time that my parents explained to me the importance of tithing. My first allowance was $1.00 a week and I didn't really get why .10 of it had to go to my church each Sunday. But, what a great lesson! I remember going to what was then known as the "Five and Dime" and the corner grocery (the quick stops of that day) and spending most of my allowance there. Our kids did get an allowance and we did teach them the importance of tithing as well, but I'm afraid their allowances were a far cry more than $1 and they too, didn't quite get the whole tithing deal until they were older. 4. What's something you wish you knew more about? 6. What's a song you think has a great first line? Amazing Grace - Amazing Grace how sweet the sound, that saved a wretch like me. Yep! that's a great first line and makes my soul smile! 7. Who are you writing to/for when you create a blog post? In other words...as you write, who is the audience in your head? That's a good question! I started out writing my blog for myself and soon a few friends and family began reading and before I knew it, I had a follower or two. I still write for myself but it is now fun to know that there a lot of other folks that actually enjoy my entries and look forward to reading them. My girls, daughter and DIL, both started back to school this week. Our daughter teaches 5th grade and our DIL is a Special Education teacher at a Middle School. They are both tops in their field and I pray they will both have a great school year. 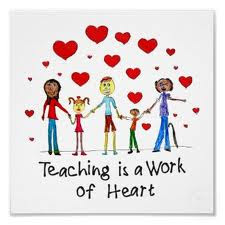 They take their jobs very seriously and have their students best interest at heart and I am very proud of them. 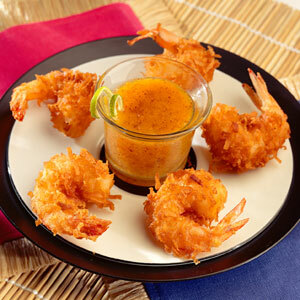 I love coconut shrimp too : ) My youngest has an interview tomorrow for a teaching job. She's in grad school but would love to be teaching alongside that. I would love to know more about computers too and how to make blog headers! I didn't think about Amazing Grace for #6 ... it IS a great first line! Enjoyed reading your responses today, Lea, and I agree, Joyce did a good job with the questions this week. But she always does. Have a great day. Great choice for a first line song. So sorry about the hard road you've been on. Haven't visited you in awhile because I've been spending lots of time with my family...and I've loved every second of it! I'll have to read some of your previous posts to find out what's been going on in your life. Happy Belated Birthday, as well! Hope it was filled with many warm memories. Leah...I am so very sorry to learn about the loss of your precious grandbaby. Please know that I will lift you and your family up in my prayers during this difficult time. I am one of those who always looks forward to reading your posts:) . Even when life is frought with sadness, as yours has been lately, I appreciate your willingness to let your praying friends in on your needs. I love coconut shrimp and haven't had it in ages. Praying for all of your family during this sad time. you know more about technology than i do! ha! i'm serious... you are one savvy gal!! i'll be praying for Bridget as she starts work back up with all of the stress she's been under. i'm sure it will be a good distraction, but still, it's got to be challenging. That's a great song choice. I love blogging for the friends I have meet but hopefully it will be here for future generations.